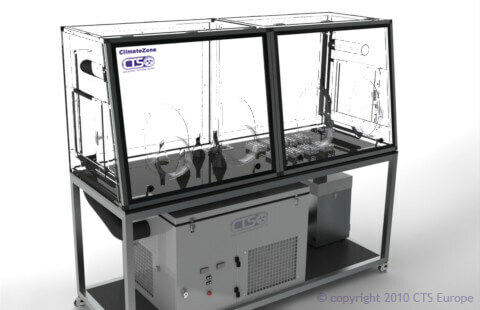 Electrophoresis, also called cataphoresis, is the motion of dispersed particles relative to a fluid under the influence of a spatially uniform electric field. This electrokinetic phenomenon was observed for the first time in 1807 by Reuss (Moscow State University), who noticed that the application of a constant electric field caused particles dispersed in water to migrate. It is ultimately caused by the presence of a charged interface between the particle surface and the surrounding fluid. The manual mode permits to set voltage, current, power and time for a routine electrophoresis run. Parameters can be changed temporarily without interrupting the run. Up to 9 different programs, each with 9 steps, of frequently used parameters can be stored in the non-volatile memory for future recall. Reads voltage in 1 V steps, current in 1 mA steps and power in 1 W steps. Each step is able to recall a next one, providing a flexible multiple step function for special techniques. Parameters of the running step can be changed temporarily without interrupting the run. The method mode also permits to program a linear voltage gradient for any step provided the limiting current or power is not attained. Timer or volt-hour controlled operation is a useful standard feature on all models. The microcomputer will automatically terminate the run when the count down of the selected value is achieved. Each model has constant voltage, constant current, constant power capabilities with automatic cross-over and shows which parameter is kept constant. In case of a mains drop out the instrument will automatically continue the run for the remaining time. Stores periodically up to 3600 output values (voltage, current and power, time or volthours) including program number and step. A free data acquisition software for PC is available optionally. Download software (attention: .NET Framework 1.1 is required!). It permits to visualise and examine the stored run details. All power supplies can be controlled by a computer using special commands (click here to ask for more information). The user is protected from potential shock hazard since the AC line is automatically disconnected from the high voltage transformer when a ground leakage path is detected. The instrument is fully protected against any overload condition including accidental short circuit of the output. The high voltage cannot suddenly appear at the outputs. It will always increase smoothly up to one of the pre-set limits is reached. Galvanic RS232 input/output insulation prevents dangerous ground loop interferences when connected to a computer.